United Arab Emirates is also known as UAE and it is also considered as one of the richest countries of this world. You can go for our car rental services that we provide from best of the suppliers around the country. You can easily choose from several pick up locations including the Dubai international Airport, Fujairah Airport, Abu Dhabi Airport, Al Ain International Airport, Ras Al Khaimah International Airport, Al Maktoum Airport, Sharjah Airport, and so on. In this beautiful Muslim country you can easily visit the southeast section of the Arabian Peninsula on the Persian Gulf. It is advisable to explore the capital city Abu Dhabi for attractions like Thai Abu Dhabi, Sheikh Zayed Mosque, Cobra Muay the Corniche Park and Emirates Palace. The city of Dubai can not be ignored where you can see Dubai Fountains, Burj Khalifa and the Tower of the Arabs. The best option is to hire a car at this country for sure. The Al Ain city has attraction like Al Ain Paradise Garden, Al Ain Wildlife Park & Resort and Al Ain National Museum. 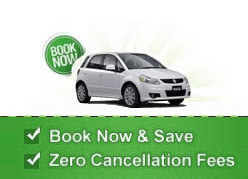 Sightseeing in United Arab Emirates can be made easy with a low priced car rental deal.